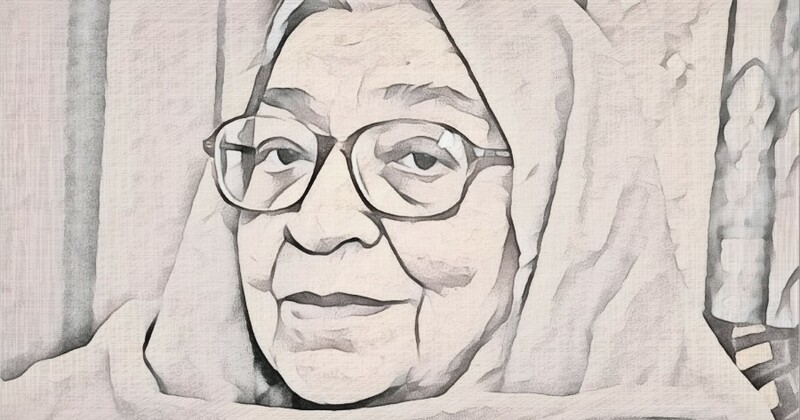 An unparalleled figure in Hindi literature, Krishna Sobti died on January 25 at the age of 93. 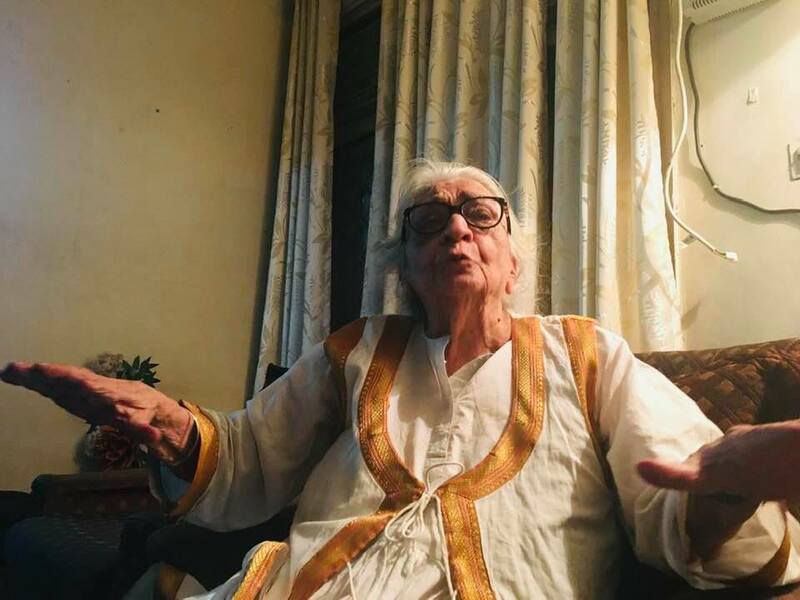 For those who had the good fortune to know her, and also perhaps for those who did not, Krishna Sobti will remain one of those rare people who don’t go away. Vivacious, alert and far sighted while writing of a ‘Panjab’ only someone of her generation could know, and a Delhi – past and present – which had become her home, she peopled her fiction and her memoirs with sharply etched characters who also refuse to go away. In a Hindi interspersed liberally with Panjabi and Urdu words and phrases, particularly in her early works, she coined a style peculiarly her own. And for the first time in Hindi fiction, she created space for women’s interiority as much as for their sexuality, their daring and their spirit, with an intensity that was to become her hallmark. I read her first in the early 2000’s. One of her most famous novels, Dil-o-danish (literally: heart and mind) had just appeared. It had been reviewed very widely, in the English language press also. I read it in – what seemed to me – one gasp. It became my story, as much, I imagine, of anyone else who read it. Set in 1920s Delhi, it presented the world of Mahak, a beautiful young woman, the daughter of a courtesan, and of the distinguished lawyer Kripa Narayan, her lover, patron and the father of her two children. But it was more than a story of their romance. It also offered deep insight into life in his haveli and the feelings of Narayan’s wife, Kutumb Pyari. Whether we liked her not, we knew that she was also fighting a battle most wives considered lost from the start. Strangely, given the betrayals Narayan had practiced on his women, it was he who was left lonely and wistful at the end, wandering the lanes of his beloved walled city, narrated in a prose which is even more unforgettable than the rest of her work. I taught the novel to my German students at the University of Tuebingen, as I was to do again when I moved to the University of California in Berkeley. My students were as mesmerised as I.
I read every work of hers that I could lay my hands on. And of course, when I came to Delhi, I made a beeline for her apartment in the high rise across the river, that she has memorialised so poignantly in her autobiographical novel Samay Sargan. I was to translate it later as The Music of Solitude. In the tightly packed sitting room of the apartment, throned the unforgettable Krishnaji. We were to have tea together. Her table was covered with a spread as lavish as she. Shiv Nathji was still very much alive then – grave, warm-hearted, practical, trying always to balance her impetuosity and radical views. In subsequent conversations, I caught glimpses not only of her life but also of his very different one, of his personal losses and memories. I met her some weeks ago, in her sunny room at Aashlok, the hospital which had become a second home to her in the last months of her life. She grasped my hand warmly. Yes, she was still working, though now, instead of writing with her own hand, she needed to dictate. We spoke of her first novel, Chinna, which she had withdrawn from publication that many years ago, because the Allahabad publisher who was bringing it out had dared to replace the Panjabi and Urdu words of the work with standard Hindi. She had paid for the costs he had incurred, had all the printed copies destroyed in front of her, and carried the original triumphantly back to Delhi. Now it was being issued again. Yes, I could translate it. I met her a couple of times after that. The last I heard of her was when she asked her publisher Ashok Maheshwari to phone me. He was to tell me that she loved me. She had said so to me herself, but no, it was to be said again. These were her last words to me. They say more about her than about me. 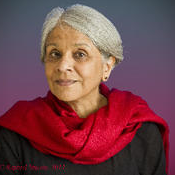 Vasudha Dalmia is a Professor Emerita of Hindi and Modern South Asian Studies, University of California, Berkeley.